Golden's acrylic polymer GAC 400 is for stiffening fabrics. 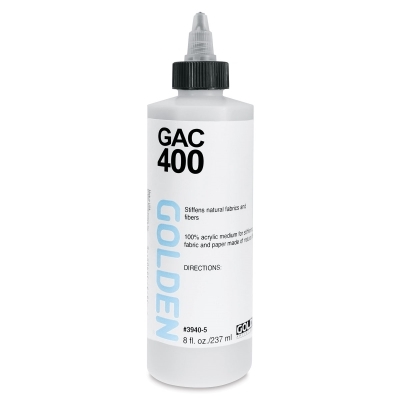 GAC 400 dries to a hard, stiff film. This allows artists to transform lightweight fabrics into freestanding forms. Dries to a hard, stiff film. Allows artists to transform lightweight fabrics into freestanding forms.